Views from the loch. : AGM delayed! 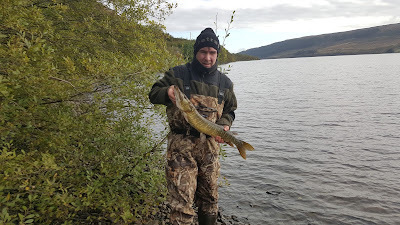 Photo 01 - Visiting angler with a fine 7lbs Pike! Now delaying an AGM is not a usual procedure for a club to take but the executive committee met this week and felt there was no option but to postpone it until next year. Naturally only extraordinary circumstances would trigger such a move but those are exactly the circumstances we are currently experiencing! As usual these days it is the pestilent Mr Xxxxx who plagues us, even in his absence he causes carnage. Not content with costing the club huge amounts of money during his tenure he now blights the progress of the club from the sidelines. The AGM is the forum for club members to express their opinions and direct the committee for the coming year. The difficulty we have is that we do not know who the club members are as Mr Xxxxx still holds our database! Yes we have almost certainly got the details of all the new members but we do not know last year’s drop outs so are still significantly in the dark as regards who the members are. This being the case anyone friendly with Mr Xxxxx could obtain a membership card and attend our AGM and we would be unable to verify their membership! Barring entry to any that we do not know would be inappropriate as we may prevent bona fide members who we have not yet met from attending their meeting! The only proper course of action to be taken is to postpone the AGM until issuing of memberships for 2017 has been completed. By taking such a measure anyone who does not appear on our up to date database as a paid or approved honorary member will not be admitted to the AGM, with no exceptions! It will also give us an opportunity to review the membership to see if any or Mr Xxxxx’s admissions were inappropriate! We can but apologise for this action but as we are sure you will see the action is appropriate and in keeping with the ethos of the club in acting with fairness and propriety! It is vital that members have their say, but we owe it to members to be certain that the members attending are in fact members! With the current situation we cannot guarantee this would be the case! To facilitate a quick return to normality we would ask that all renewals take place in January so that by the end of that month with all the renewals in we can select a suitable day for the AGM. This is yet another result of Mr Xxxxx’s shameful legacy and as the weeks roll by even more anglers are keen to meet him! Although he remains in hiding if you do encounter him, please do ask him to explain his increasingly bizarre, childlike and spiteful behaviour! Photo 02 - Yesterday, you would think it's midsummer! Well that’s it for another year as our Brown Trout make the necessary moves to produce the next generation that will provide our sport in coming years. The season has been a decent one with a good number of heavier specimens being recorded. What is becoming increasingly clear is that anglers are now choosing to return any Trout caught. However any angler choosing to retain a Trout for the pot should do so in the confidence that the loch can cope with the loss of some Trout! The heavy Trout cup this year is again being taken to Motherwell in the safe custody of our treasurer Elliot Fraser who recorded a three and a half pound stonker! I think we could now strike a deal with our engravers for a discount as we have the cup engraved with his name in advance for the next ten years! Well done Elliot! 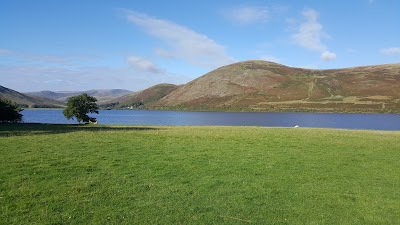 I received a call from local councillor Vicky Davidson to ask if we had made any decision regarding appointing a new lochkeeper who they would like to help them out with managing the Cafe Green! Of course we had not yet arrived at a decision and I told her that we had yet to make a decision. The view of the membership was that in light of Mr Xxxxx’s catastrophic, shambolic and vitriolic tenure it would be unlikely that we would seek to appoint another lochkeeper! As I said last week the problem has arisen due to brutal cutbacks in public spending made by the Tories. If this funding is not restored and it is highly unlikely, the situation will remain for the most part unaddressed. Any “solution “proposed that does not encompass the restoration of funding will be a piecemeal solution which for one of many reasons will fail! The only way progress towards a solution could be attained is to move to 24 hour CCTV surveillance which whilst not moving to immediate rectification of any developing problems will at least facilitate tracking down and dealing with those responsible. If this is coupled with obvious signage stating that recording is taking place perhaps those prone to developing Muppet like behaviour with the aid of Buckfast and some white powders will think twice about embarking on a destructive path knowing that they are being filmed and will be tracked down to face the music! This issue has been on the table for many years with no solution apparent, maybe it's now time to actually do something! The above would not cost a fortune and it might just work, I cannot for the life of me think why it has not been tried! For Tory read UKIP extreme! Who would have thought mild mannered Theresa May whose bungling regarding immigration figures sees her catapulted into the Tory hall of shame would have come out with the hateful rhetoric churned out at the Tory conference! This party seems only content when demonifying one group or other. Yes the hateful tripe first uttered by new home secretary Amber Dudd asks employers to name all foreign workers in their employ and a name and shame culture initiated! Listening to the former “remain” campaigner you might have thought you were listening to a translation of Hitler’s Mein Kampf! Oh they may bang on about the government that works for everyone but they have given the game away with their xenophobic hate speeches revealing their true nature and ambitions! Right wing Ukippers have been lining up to praise the Tories, Dudd’s speech in particular coming across in a fashion right up their street! It will become a shameful point in the country’s history! Every hardworking immigrant must be quaking in their shoes wondering just how far these zealots will go! People who work hard and benefit the country greatly face being devalued and singled out as hate figures as the hateful rhetoric spreads! I think now there is no prospect of re entering the EU for how many of our allies would want to be associated with their hateful ideas! A shocked Amber Dudd was forced into a series of interviews once a surprised press got hold of the story. Her protestations that the policy might not be adopted as policy proved to be ineffective. It seems with Tories you have either extreme right wing fanatics (the current lot) or clueless, directionless fools (the last lot). The unfortunate outcome however in each case is that the ordinary working class person is hamstrung in every case. The future does not look at all rosy!